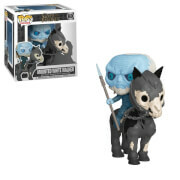 The patriarch of the Lannister family comes to the Pop! Vinyl series of stylized figures! This Game of Thrones Tywin Lannister Pop! Vinyl Figure features Cersei, Jaime, and Tyrion's cold and calculating Lord father as a 3 3/4-inch Pop! Vinyl figure. 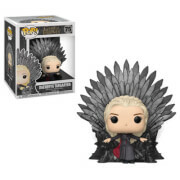 You may not have thought that Tywin could be lovable, and you would have been right if Funko hadn't made him this adorable.